Birds of a feather flock together. Look around at the people you mix with – what does this say about you? 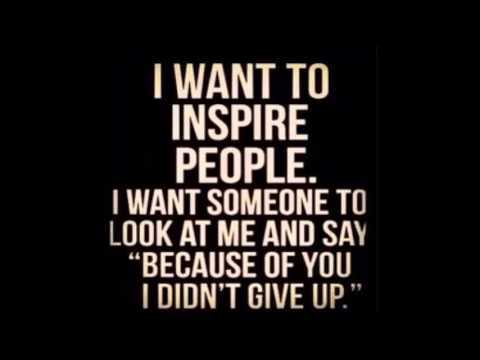 How many of my friends/associates inspire me? How many of my friends/associates are like me? Do I spend too much time with people who are holding me back? Do my friends/associates share my goals? We are heavily influenced by the people around us, they can either inspire us or hold us back. In a bid to conform, we tend to emulate the people we associate with. It is therefore important to choose your friends wisely. I am not saying cut these people out of your life, I am saying introduce yourself to the people who will help you achieve your goals. Take this example for instance; if you wanted to travel the world with a backpack and none of your friends had ever done it, what’s the first thing you would expect them to say? If you tried this as an experiment and you might get the following answers. If you were seriously considering backpacking around the world, I’m pretty sure some of those comments would have taken the wind out of your sails. This happens every day to millions of people who are pursuing some sort of health and fitness goal. They announce their weight loss or fitness goals to friends and family only to be met with “well meaning advice” which demotivates them. We value the opinions of our friends and family, we do not aim to displease them. Many of the top self-help books advise you to keep your goals and aspirations to yourself. I believe there is a better way. You’re programmed to conform to the group, why not introduce yourself to the people who will help you achieve your goals? Chances are, you will meet somebody who has either done it already, or somebody else who plans to do it. What better way to surround yourself with new people who share the same weight loss and fitness goals/aspirations? When we exercise with people with whom we have something in common, we develop bonds and new friendships form. We enjoy spending time with people who are like us, and we are inspired by them too.